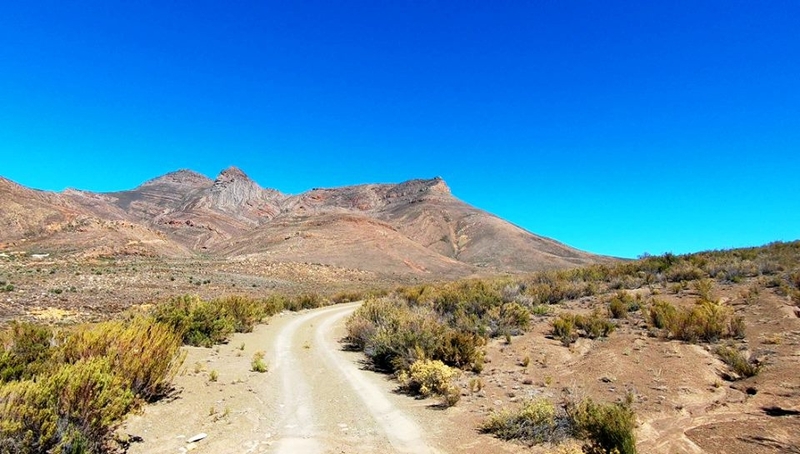 If you're in the Western Cape, here's a lekker gravel route where you are highly unlikely to see another vehicle. All within 2 hours from Cape Town. This long gravel road offers a visually enjoyable and remote ride, which is not too technical. The only negative is that there are a number of farm gates that need to be opened and closed. We recently refilmed this route over a three piece video set in perfect blue sky conditions and have upgraded the page and text as well. The ride out from the summit can be a bit tricky if you haven't plotted the waypoints, but we have provided a detailed route description with GPS data. Allow 2 hours to complete the route from tar to tar. The page is open to all until April 22nd. Enjoy! I had the chance to ride this pass with a group earlier this year, from the top of Theronspass down to the R355. Dry, remote and beautiful.